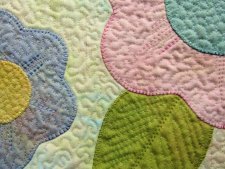 "Wanting to make a completely fun piece that celebrated the return of Spring, I decided to make an appliquéd flower table runner. 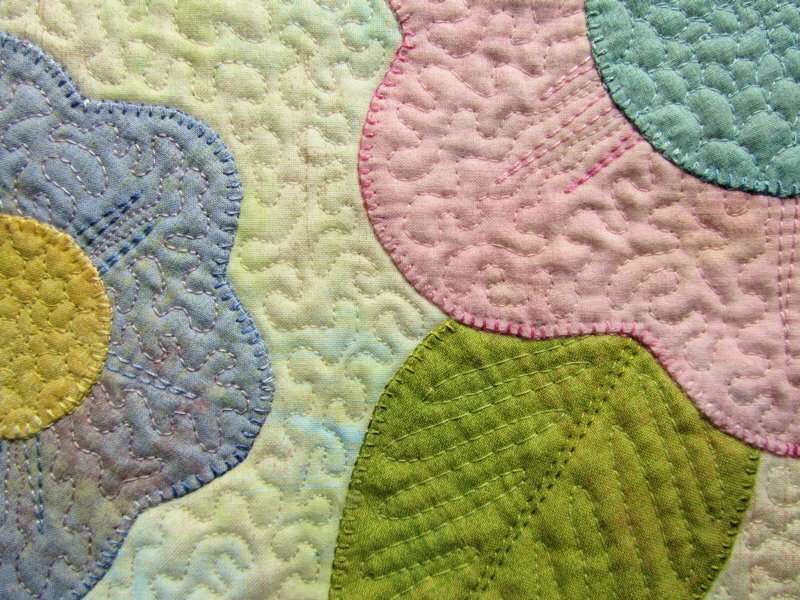 There are so many ways to do appliqué, from needle-turned to raw edge to fusible cut-outs, (just to name some) but for this piece I decided to use the freezer paper method. 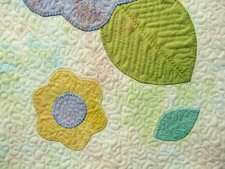 I suppose there are lots of versions to using freezer paper in appliqué, but for anyone unfamiliar with it, this is how I do it..."